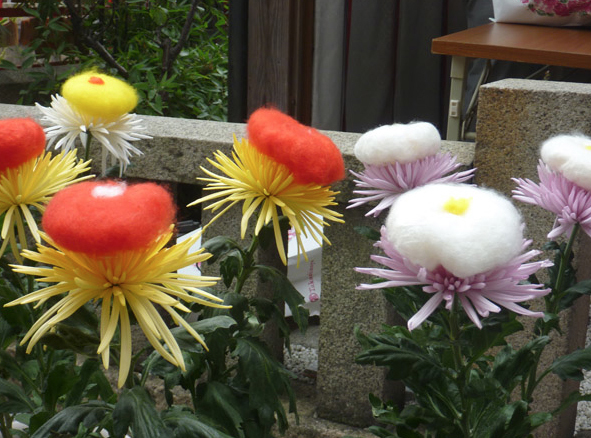 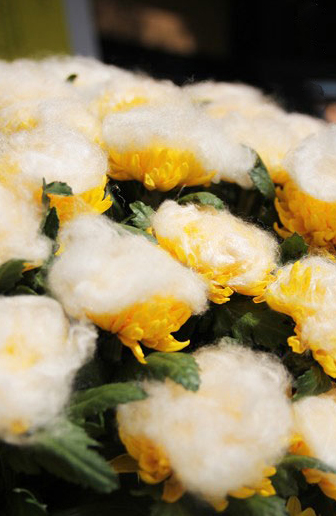 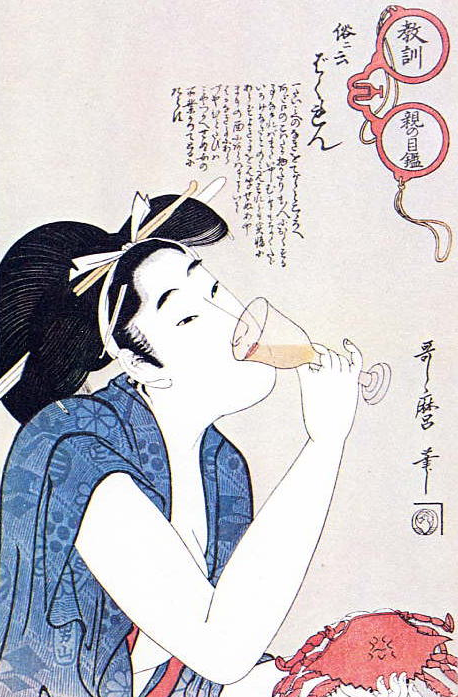 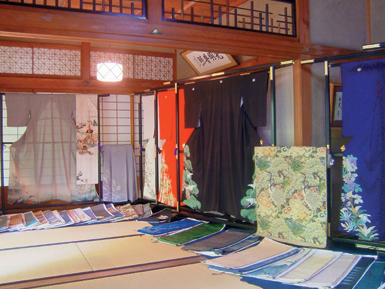 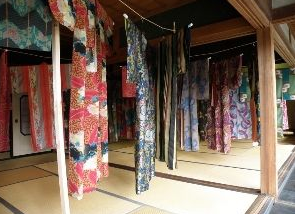 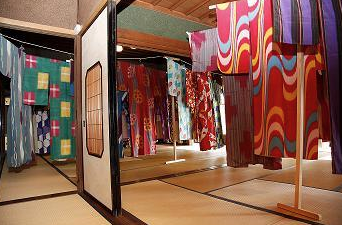 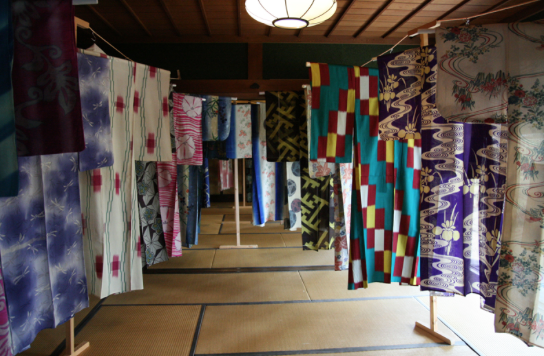 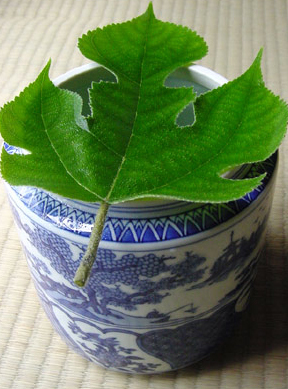 in Japan, the act of giving clothes or books an airing, in the japanese special season of summer…named “mushi-bosi” in Japanese. 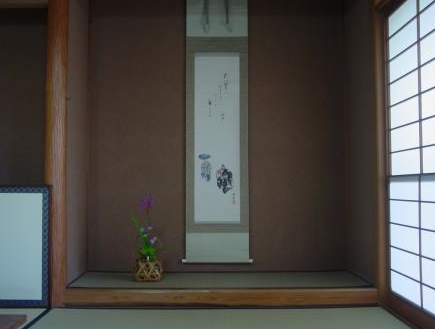 So, I did the airing of my hanging scroll for tea ceremony in July, and also enjoy arranging of flowers and vases match it. 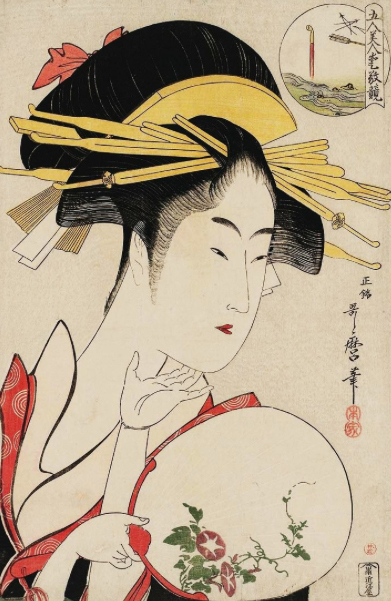 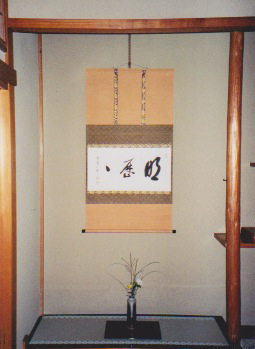 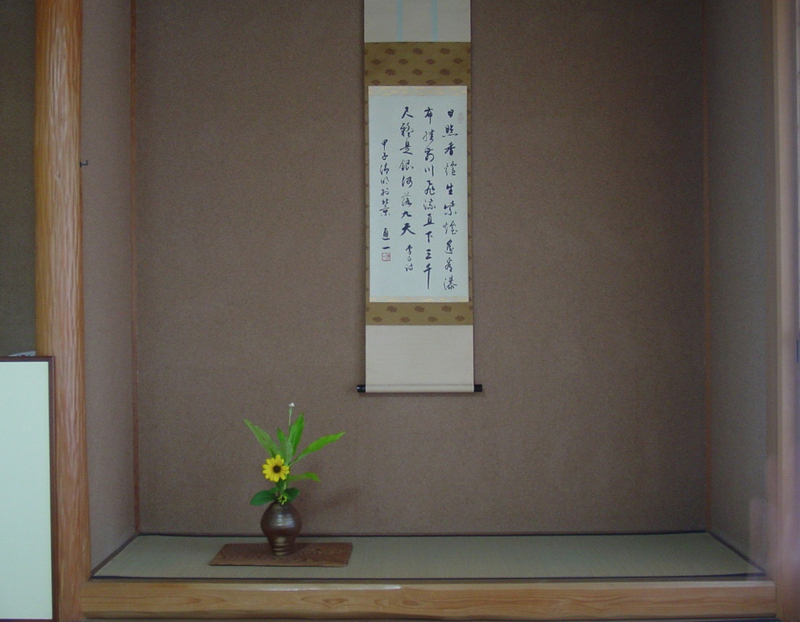 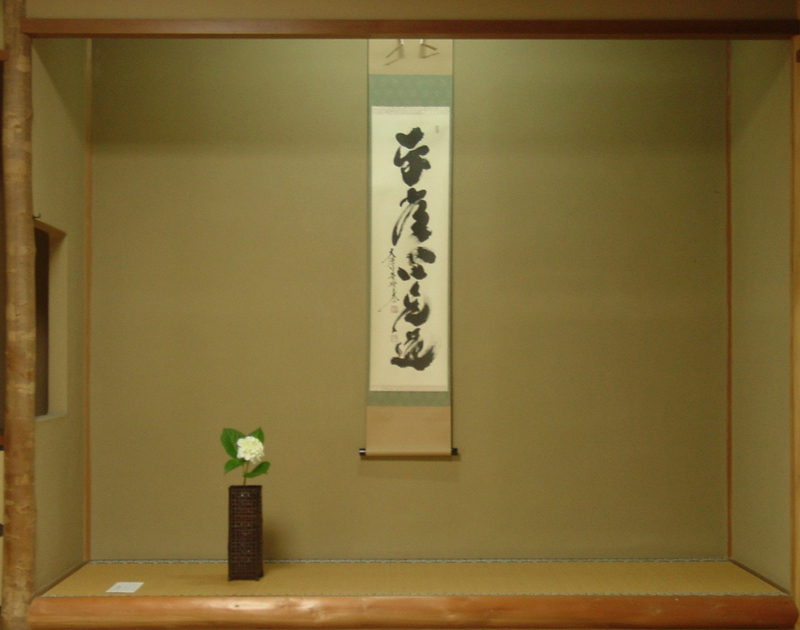 This hang scroll’s meaning is “Truth is as plain as daylight…If you cannot realize the truth, it is just because of no eyes for it ” which is Zen terminology (Zen word). 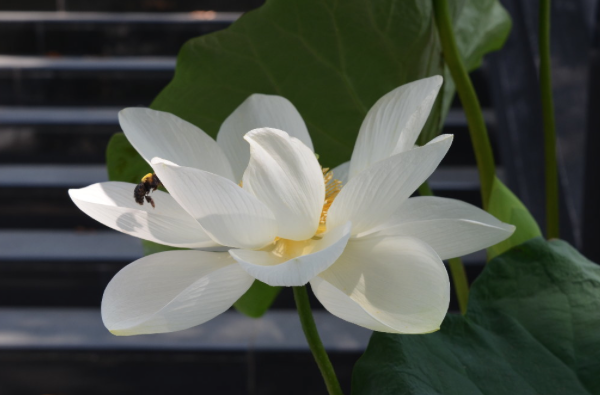 pure at heart & eyes and open-minded…I hope so! 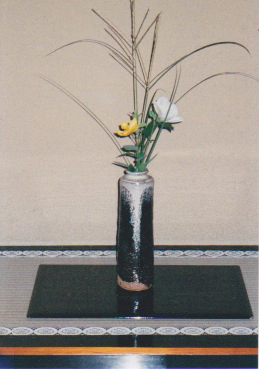 Today is also rainy…how are you? 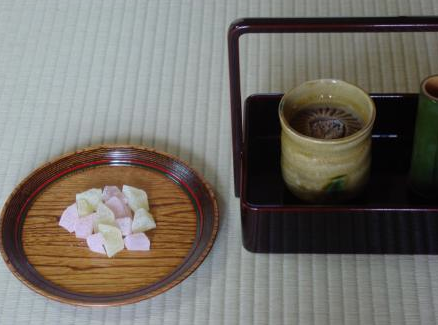 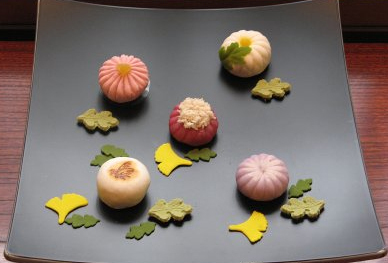 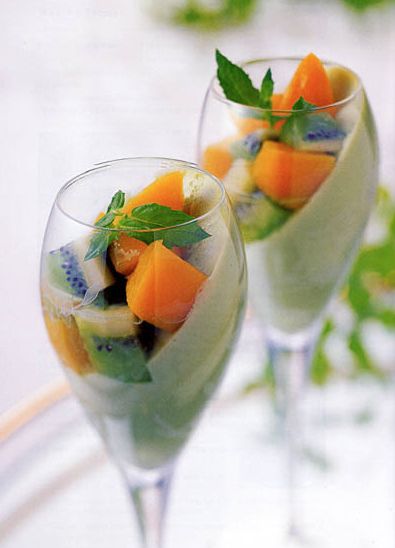 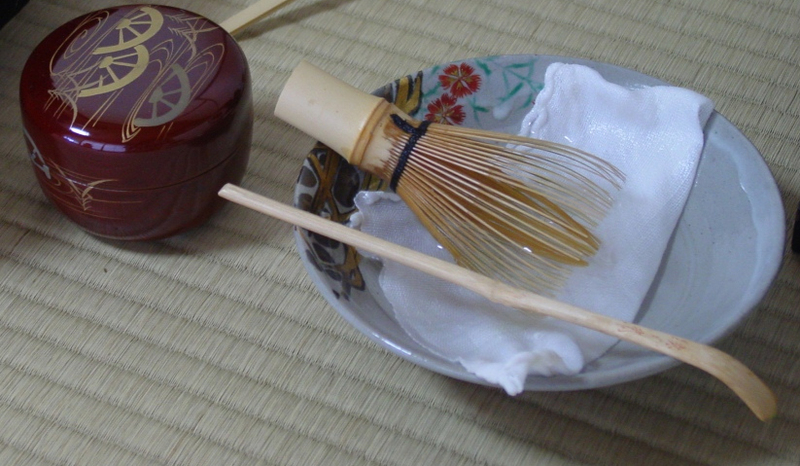 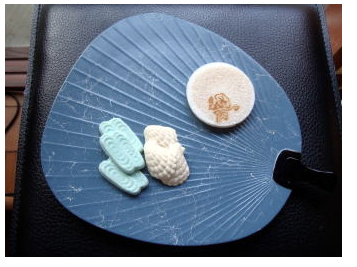 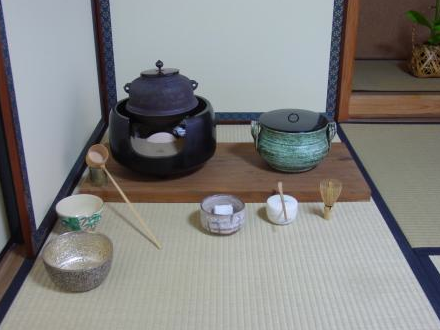 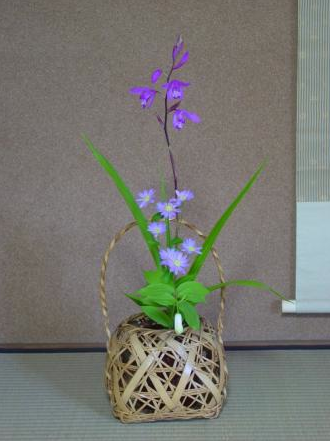 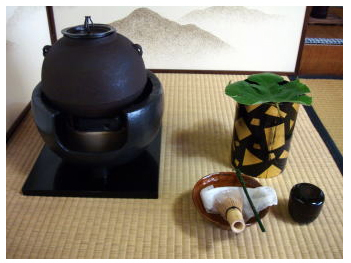 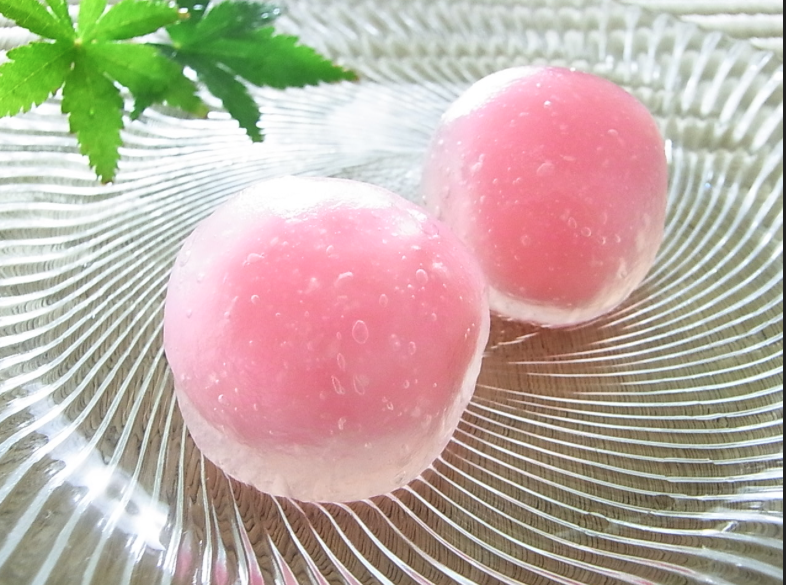 Start from the same topic of the last time; the japanese-style confectioneries for summer. 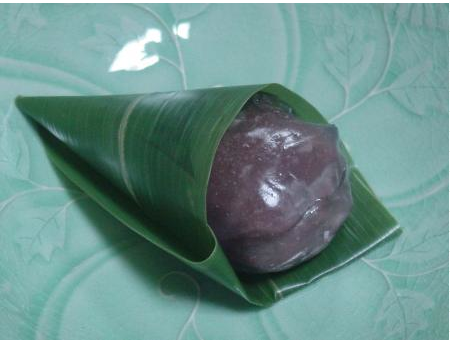 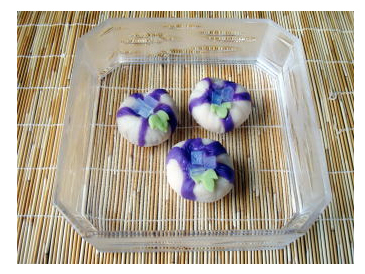 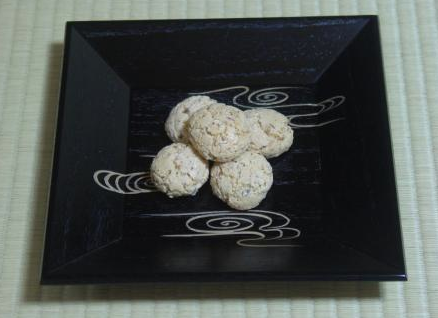 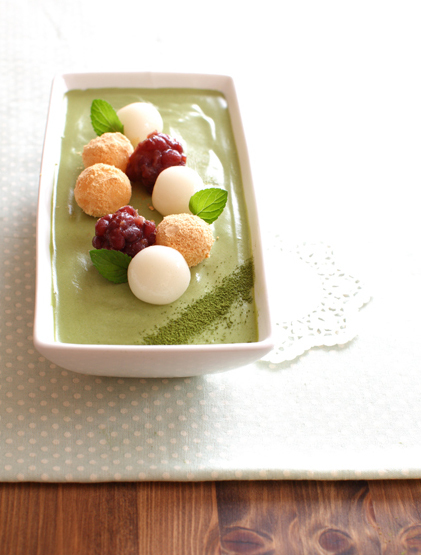 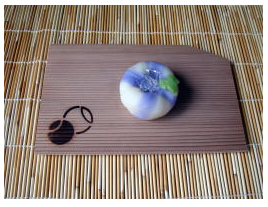 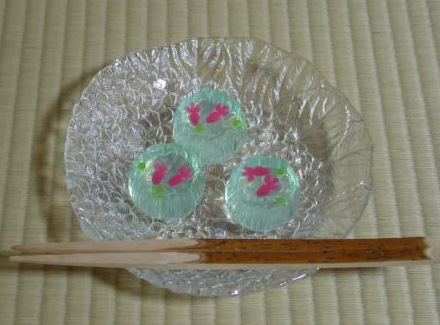 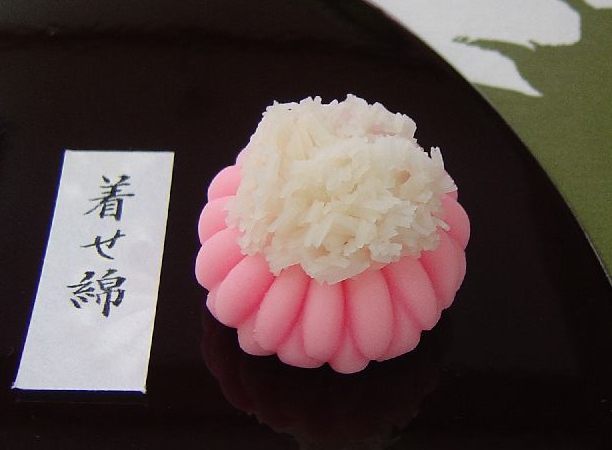 In this time, I will introduce another manju for summer…This is Kudzu-Manju. 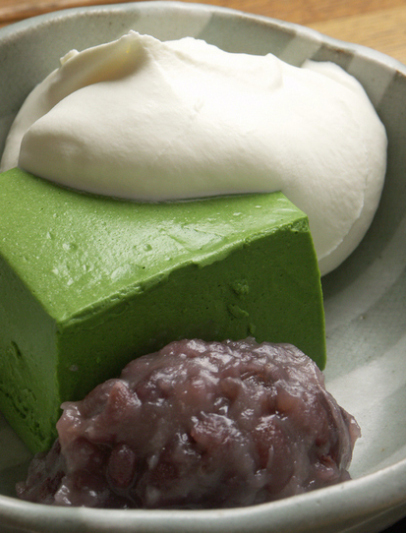 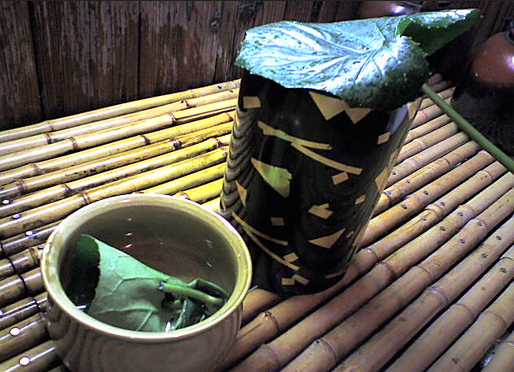 Kudzu is the Japanese arrowroot. 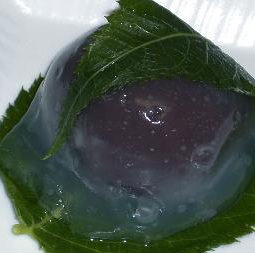 It has very nice texture in my mouth like a hard jelly. 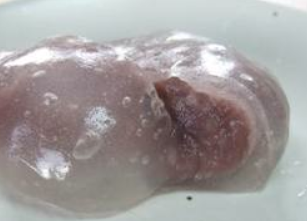 it also taste better if you chill it in the refrigerator. 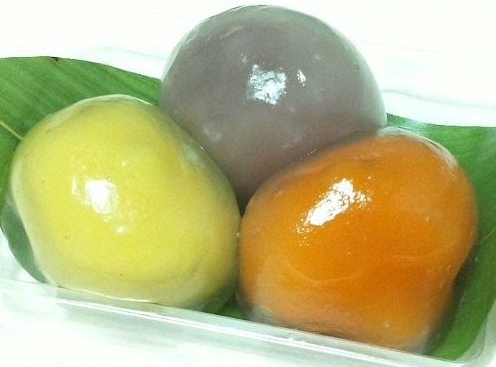 Depending on the stuffed bean pastes, the manju colors are changed!